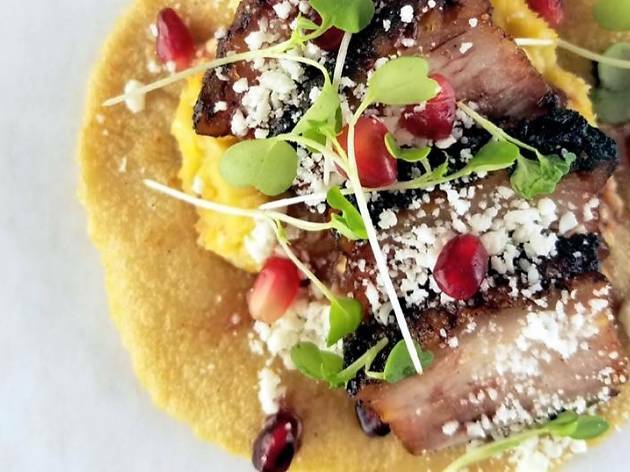 Located at L.A.'s beloved flea market, Smorgasburg L.A., this Peruvian pop-up draws shoppers with exotic flavors and classic dishes, all in the form of our city's primary food group: tacos. 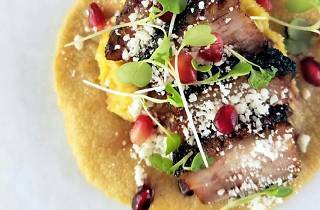 Made with organic, non-gmo, hand-pressed corn tortillas, the selections range from pomegranate-glazed pork belly with fresh corn polenta to beer marinated chicken with fried mashed potatoes. Drop by the flea market every Sunday from 10am-4pm, and fuel your shopping spree with an insanely delicious bite from Little Llama Peruvian Tacos.